Luis Desamero is the Exhibition Name. 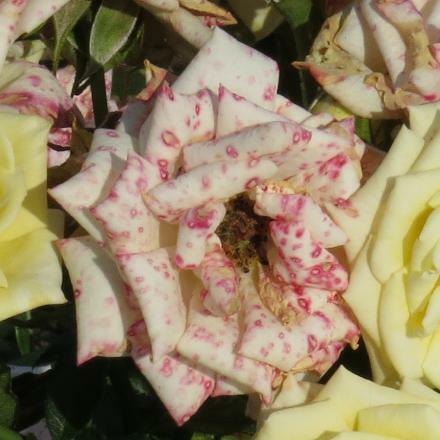 Flowering is Repeat or Recurrent throughout the summer. Moderately fragrant. 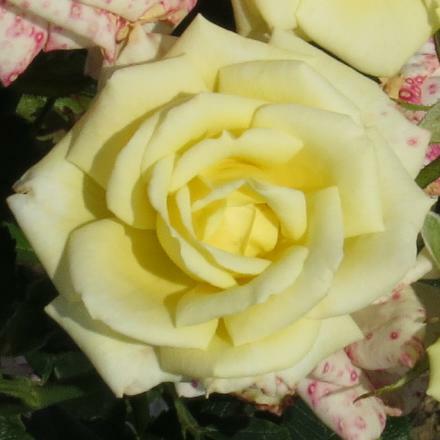 "Soft yellow, Hybrid Tea blooms, 1.5' to 2.5', exhibition rose. 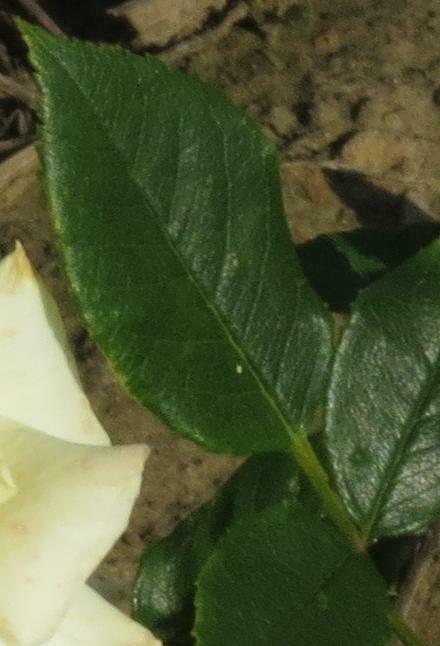 Propagated on hardy Rosa Multiflora rootstock. 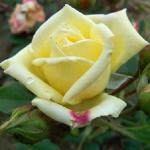 All roses have been grown and tended for in our family-owned rose nursery." 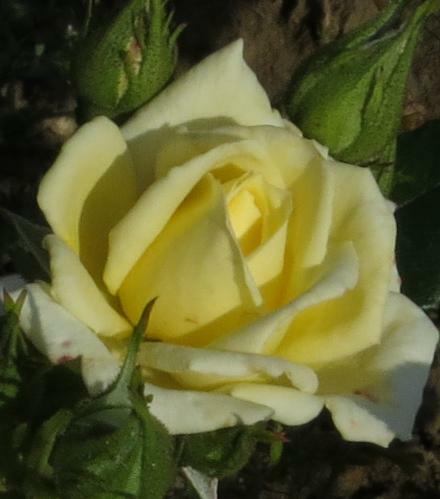 from Palatine Roses. Exhibition variety used by America's most competitive teams of exhibitors. "Pale yellow. Raised by Dee Bennett in 1989. 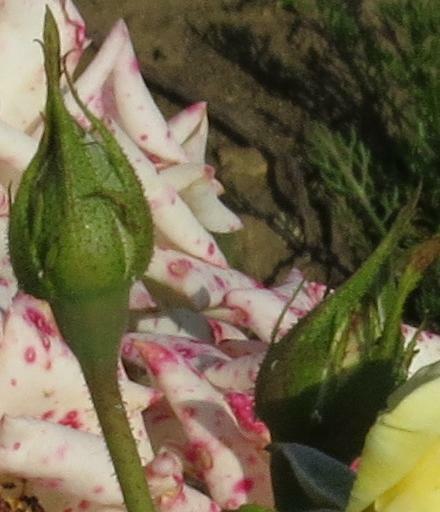 Introduced by Tiny Petals Miniature Rose Nursery, USA. Suitable for exhibition." from R.V. Roger Ltd.
"Light yellow. Fruity fragrance. 28 petals. Average diameter 1.5". 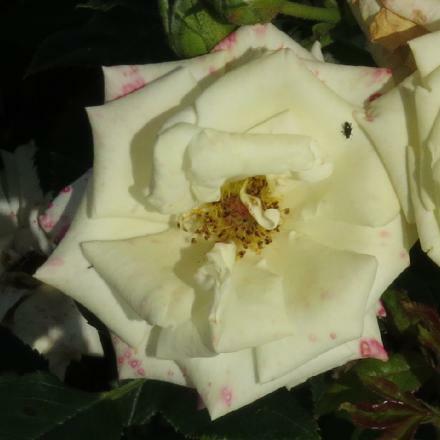 Classic hybrid tea bloom form. 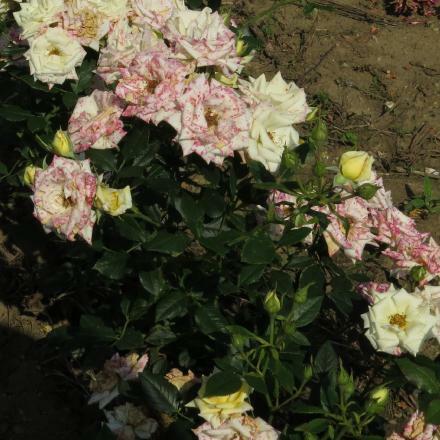 Blooms in flushes throughout the season. 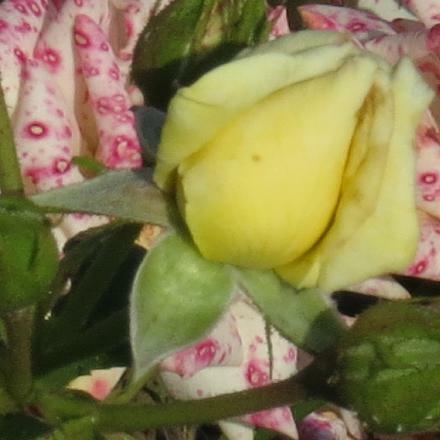 This pastel yellow show champion has been winning the hearts of gardeners and exhibitors with both perfection of form and vigor. Justice Miniature Roses says this rose is named for an active partner in one of America's most competitive teams of exhibitors. 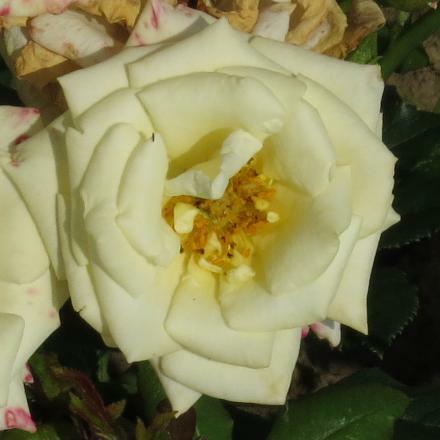 It has very light yellow blooms that are sometimes white and it is hardy." 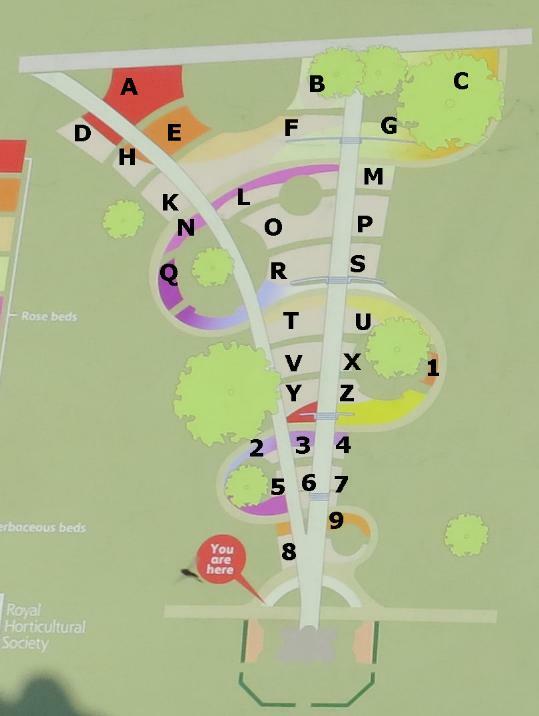 from Help Me Find. The Heather Farm in Canada - "We are a small family run nursery located in the Fraser Valley about an hour's drive from Vancouver, B.C. 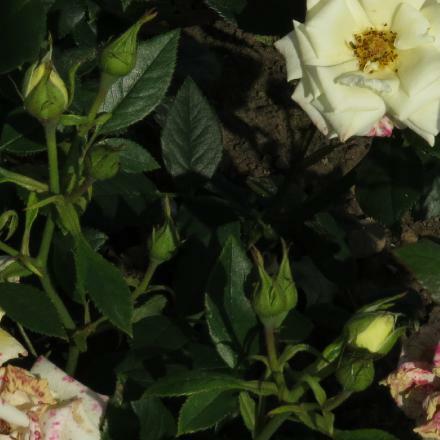 For over 30 years we have specialized in miniature roses and heather and have one of the largest collections of both in Canada. For the past 15 years we have been supplying gardeners throughout Canada with our plants by mail order. ".